Thursday, September 17, 2015 – Highlands, NJ – After 20 rounds at eleven different iconic circuits across the United States, DragonSpeed Racing Driver Frankie Montecalvo has officially won the 2015 Pirelli World Challenge GTA Driver’s Championship. Montecalvo, 24, of Highlands, NJ entered the final round of the Pirelli World Challenge Championship 195 points ahead of the second place GTA driver. 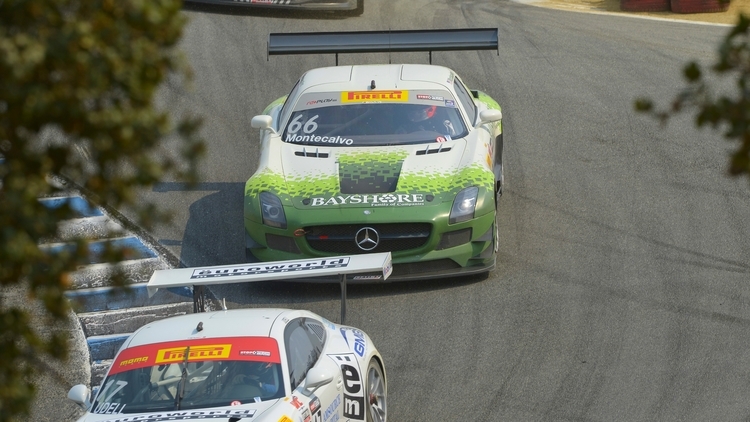 At that point, the championship was sealed and Montecalvo was able to enjoy a less stressful weekend and experiment with the set up of his Mercedes AMG SLS GT3 at Mazda Raceway Laguna Seca. Although the 2015 season has come to a close, Montecalvo has already set his sights on racing plans for 2016. In case you missed it, you can watch final round of the Pirelli World Challenge Championship from Mazda Raceway Laguna Seca on Sunday, September 20 at 3:30 PM EST on CBS Sports Network!